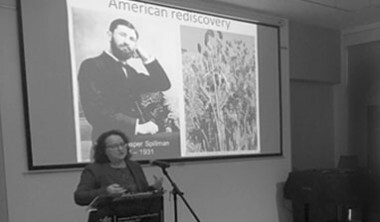 In September, Embryology staff member Dr. Marnie Halpern spoke at an event to honor the work of famed czech geneticist Gregor Mendel. Dr. Halpern spoke along with Dr. Ondrej Dostal, Director of the Mendel Museum at the Abbey where Mendel did his genetics work. Mendel’s research paved the way for the research performed at Embryology today, and Dr. Halpern spoke about the influence Mendel's work has had on agriculture, biological research, and medicine - and the impact it will have on the future with CRISPR genome editing technology. 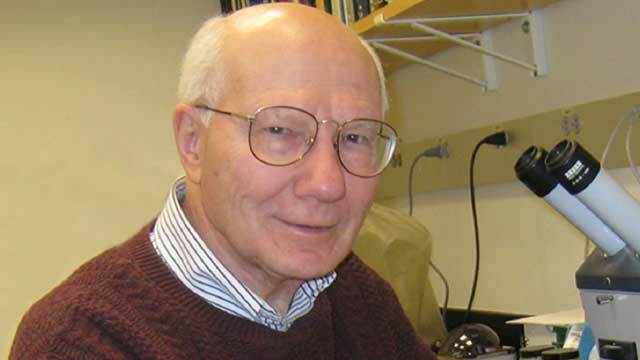 Embryology staff member Dr. Joe Gall was featured in The Scientist with an interview highlighting his decades of contributions to research in cell biology. Included in this interview are stories of his first exposure to science through butterfly nets and microscopes, inventing a now-ubiquitous RNA imaging technique, and his role in mentoring women scientists in a field dominated by men. In November, Embryology staff member Dr. Steve Farber and Research Scientist Jen Anderson published a study exploring how working with zebrafish can shed light on how organisms can compensate for, or work around, gene mutations by regulating how other genes are expressed. Read the article and press release. In December, Embryology launched a new series of casual talks: Coffee and Conversation with a Scientist. Each month, a member of a different lab presents their work in plain language to staff across Carnegie Embryology, allowing support staff and other scientists to learn more about the research and discoveries of each lab. Between the cookies and the conversation, the talks have been a huge hit! 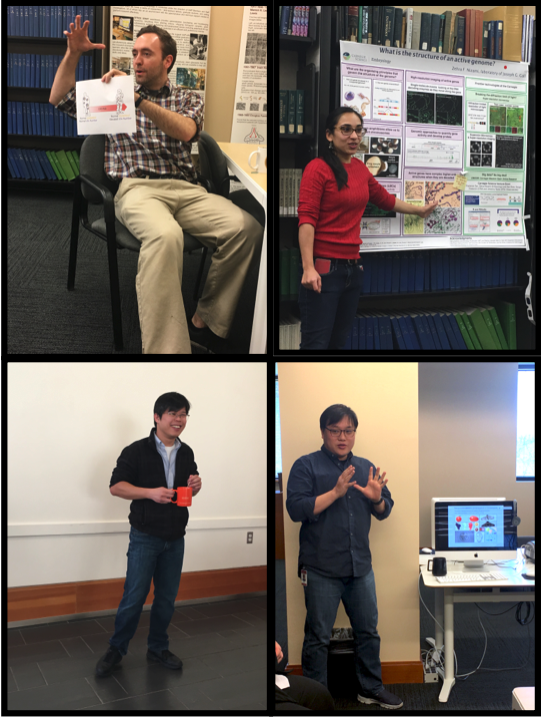 Below clockwise, Jay Thierer (Farber Lab), Zehra Nizami (Gall Lab), Sungjin Moon (Zhang lab), and Joseph Tran (Zheng lab).